Lecturer in Human Geography Dr Andrew Power writes for The Conversation on the impact of welfare spending cuts in the 2015 Budget. George Osborne’s budget speech will outline cuts to welfare spending which are designed to wrestle Britain out of its budget deficit. The cost is likely to be severe for those deemed the most vulnerable in society. Already pushed out into the community, adult social care users will more and more find their safety nets worn ragged. Supporting active and inclusive communities and encouraging people to use their skills and talents to build new friendships and connections, is central to our vision for care and support. This fits with the government’s wider social care policy of personalisation, which has sought to change the emphasis beyond what service people want, towards what kind of life people want. At the heart of this policy has been a devolution of budgets down to the individual or a nominated budget-holder. While personalisation has been shown to have made many positive impacts on people’s lives according to recent National Personal Budgets (POET) surveys, much of the success has been tempered by the effects of significant austerity cuts to social care budgets. So, what does living in an inclusive community look like for adult social care users? More and more recipients of adult social care are being given little choice but to live in the community without services due to reductions in institutional forms of welfare. This is characterised by extensive closures of daycare centres across the UK – and the associated cuts in local authority services and welfare benefits are only likely to get only worse. This is being particularly felt by people with learning disabilities. Mencap, the national learning disability charity, has reported that nearly a third of local authorities have closed day services in the last three years. The coalition government’s 2010 Comprehensive Spending Review, according to a report from the Centre for Welfare Reform, has already committed to an 18.6% real-terms cut to benefits (social assistance payments to disabled people) and 41.9% to English local government by 2015. The latter cut is particularly relevant in this context as one of the primary functions of local authorities is to fund social care provision. The extent to which adults with learning disabilities experience “ordinary” communities as welcoming is therefore a relevant question in this context. This question prompted a recent study which traced in detail the lives of adults with learning disabilities and their advocates in the Southampton area. The study involved photo documenting the places in which they found welcoming and interviews. People pick on people who are disabled because they think they are bums … they said I shouldn’t be living there because I am a sponger. In response to this difficult context, people with learning disabilities were uncovering and creating “safe havens”. These are places where they felt welcomed and free to be themselves. The location of these safe havens reveals a complex tapestry of local spaces that would be arguably characteristic of British low-income, working-class urban neighbourhood life. Think fish and chip shops, football club grounds and supporters bars, allotments, Bingo halls, marinas and parks. 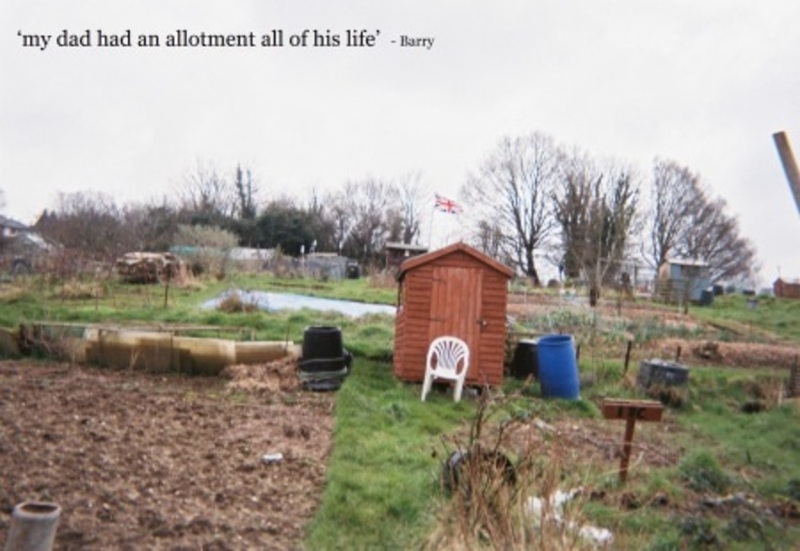 These spaces were shared with a wide cross-section of people including neighbours, local shop owners, security guards, fellow football club fans and dog walkers, members of the Royal Legion and allotment gardeners. Given the erosion and diminishing appeal of formal daycare services, the creation and negotiation of these safe havens in the community appears to be a crucial aspect of peoples’ lives, particularly given the wider context of exclusion in which they live. But even these are in danger. While the development of these safe havens demonstrates the capacity of many people with learning disabilities to influence their surroundings, each adult with a learning disability in the study had an advocacy worker; someone assigned to speak up for them who has their best interests in mind when they are speaking. Someone, in other words, who could guide their path towards the discovery and development of these crucial safe havens. The advocates played a key role in providing clarification of issues and enabled people with learning disabilities to gain confidence and find their voice. This was particularly evident when managing challenging situations related to welcoming communities such as harassment issues, budgeting, choosing where to live and issues with services. We also found that advocacy workers play a structural role in enabling participants to build self-advocacy groups. Interviews with the participants revealed a rich and elaborate network of local peer advocacy groups – where people with learning disabilities were advocating on behalf of each other. Sadly, these are just the things that local authorities are having to cut resources from, as austerity measures are forcing councils to cut any services beyond crisis interventions and personal budgets to those with the most severe needs. Given Osborne’s impending cuts to Britain’s welfare bill, these forms of support inevitably will end up on the “soft cut” floor. It would seem that disabled people are being told to look up to the stars while having the carpet pulled from beneath their feet. Andrew Power is Lecturer in Human Geography at University of Southampton.